Metropolitan Nicholas joined the community of Sts. 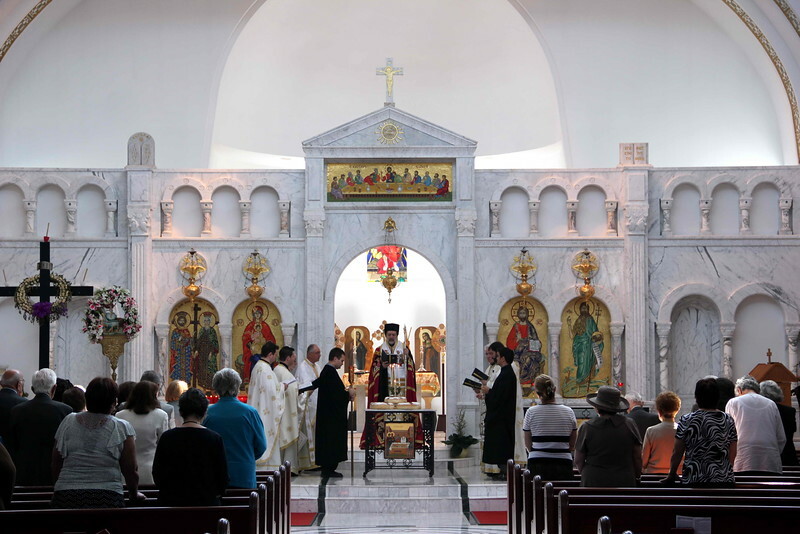 Constantine & Helen Church as they celebrated their Name Day on Monday, May 21, 2012. Also present at the Divine Liturgy were: Fr. Dean Hountalas (Vicar General), Fr. Teodor Petrutiu (Proistamenos), Fr. Charles Sarelis, Fr. Slavcho Panev (St. Clement - Dearborn, MI), Fr. Laurence Lazar with Fr. Sabin Pop (both from St. George Cathedral - Southfield, MI), and Fr. Sean Govostes.